The City by the Bay offers something for everyone. Travelers love the city's iconic sights, including the Golden Gate Bridge and Alcatraz, its vibrant neighbourhoods like the Mission District and Chinatown, and its outdoor offerings, such as Muir Woods National Monument, Golden Gate Park and Ocean Beach. 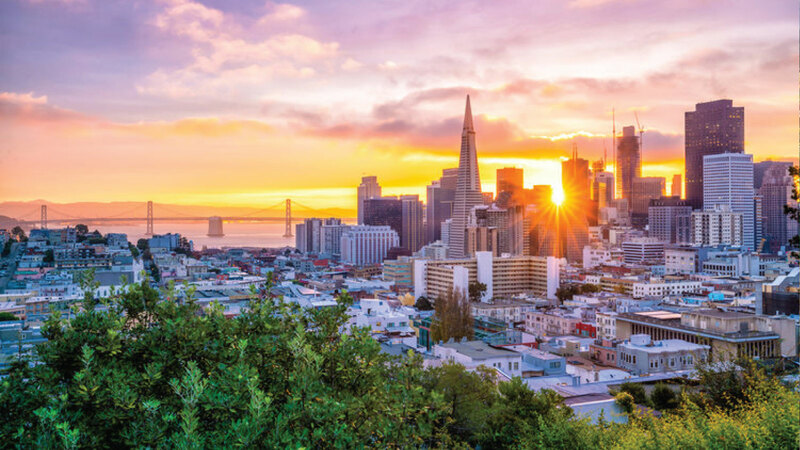 What's more, San Francisco is home to an excellent and diverse food scene, boasting everything from Michelin-starred eateries to tasty food trucks to the popular Ferry Building Marketplace food hall.